96 or 384 well automated platforms promote the standardization of ELISpot data analysis and greater reproducibility across sites. MilliporeSigma’s Immobilon®-P Membrane is a 384-well white plate typically requiring less cells per well for optimal set up conditions (see the graph below). This combination of automation and acquisition features also makes ELISpots the ideal choice for high-throughput testing applications, which could be applied in large-scale subject profiling. 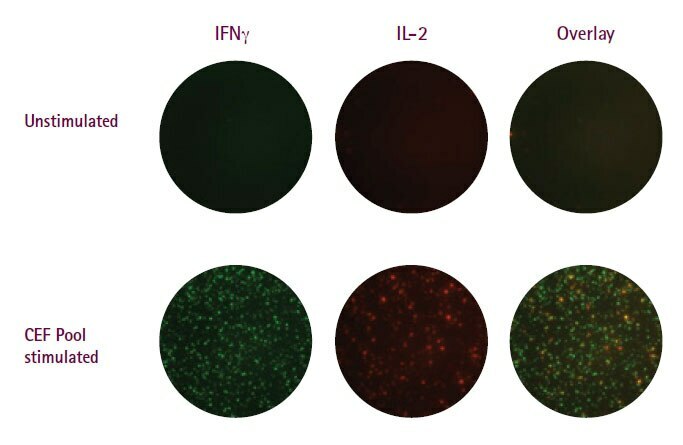 For example, IFNgamma ELISpots are commonly used as a correlate of vaccine efficacy to identify potential candidates for HIV and other diseases. One long-standing problem with the 96-wellmicroplates has been the waste of unused wells in small-scale assays such as that occurring in diagnostic analysis of a single patient sample. MilliporeSigma offers transparent 8-well strips designed for the diagnostic community. 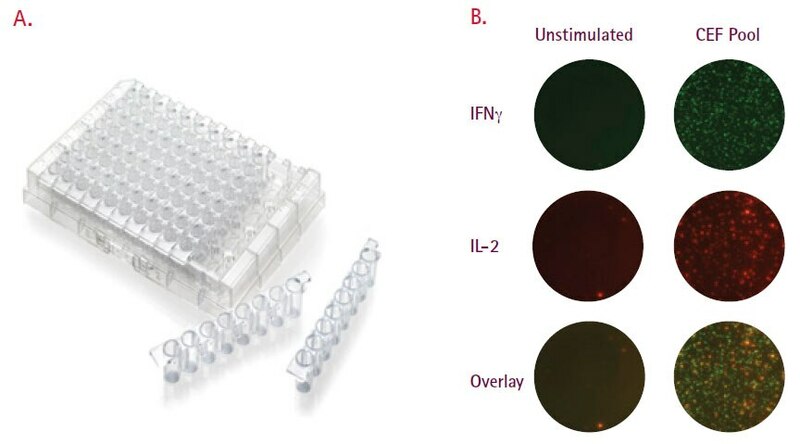 These strips are currently part of Oxford Immunotech’s T-SPOT.TB Test, an FDA-approved IFNg ELISpot test designed specifically for diagnosis of tuberculosis infection and should prove important in any resource-limited situation such as in devoloping countries where diseases such as TB and HIV are most devastating (Figure 4A).